A Larne woman has been fined £50 and ordered to pay £500 compensation after her Rottweiler dog attacked a child at Porter Crescent last May. Keira Gamble, of Porter Crescent, was also fined £50 at a hearing of Ballymena Magistrate’s Court for not having a dog licence. The charges of being the keeper of a dog that attacked a person and not having a valid dog licence were brought by Mid and East Antrim Borough Council following an investigation by council’s enforcement officer under the Dogs (NI) Order 1983. 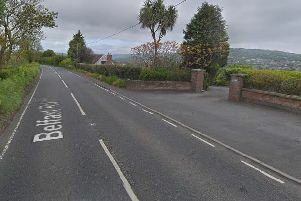 A spokesperson for Mid and East Antrim Borough Council said: “Mid and East Antrim Borough Council gives a high priority to the investigation of any dog attack. “Complaints are investigated thoroughly, and where necessary, formal action is taken, such as prosecution for offences as in this case. “I hope this serves as a warning to anyone who does not take appropriate care to prevent their dog attacking a person of or indeed other animals. The owner took the decision to have the dog “put to sleep” on the day of the attack.